Estonia and Japan are to strengthen cooperation on cybersecurity and digital identification, the prime ministers of the two countries agreed last week in Tokyo. 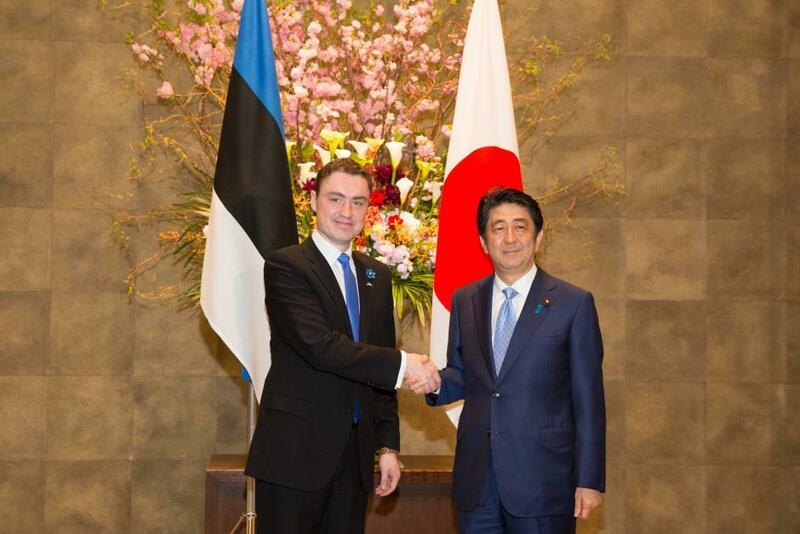 During his visit to Japan by the Estonian prime minister, Taavi Rõivas, his Japanese colleague, Shinzo Abe, commended Estonia on its successes in the fields of information technology and cybersecurity. “There’s much we can learn from Estonia, which holds IT as the central pillar of nation-building, thereby promoting better efficiency in administration and people’s lives,” Abe said, according to the Kyodo news agency. Japan has recently introduced a national identification system, called “My Number”, that is sometimes compared with Estonia’s e-government and ID-card system. Under the My Number system, all Japanese citizens have been assigned a unique 12-digit number that combines their interaction with the government – including their income, taxes, social security, benefits etc. But unlike in Estonia, where the ID-card system has strongly embedded in people’s lives, the public opinion in Japan on the My Number system has been split. The critics of the system cite data breaches that have compromised both the public and private sectors, including a leak at the Japan Pension Service in May 2015. In addition to cybersecurity cooperation, Abe and Rõivas also talked about an economic partnership agreement that is being negotiated between Japan and the European Union. According to the Kyodo news agency, Rõivas called for the signing of the pact before the end of the year. The prime ministers also discussed speeding up negotiations for a bilateral treaty aimed at boosting business cooperation. Taavi Rõivas is on a six-day visit to Japan through Sunday. Cover: Estonian prime minister Taavi Rõivas meeting his Japanese counterpart Shinzo Abe in Tokyo. Credit: Tauno Tõhk, the Government Office of Estonia.